Leukemia Fighter! (CML); I Am Dancing and Traveling My Way Through: Tips for a Hospital Stay; Number One, Keep Your Door Closed! Tips for a Hospital Stay; Number One, Keep Your Door Closed! If you or anyone you know and love should end up in a hospital bed, for an extended period of time, here are a few tips to help make your stay more comfortable. First and foremost: when you are in your room, close your door! There are many reasons to keep your door shut, both night and day. The most important one is that it is so much quieter; you and your visitors are allowed peace and privacy. With your door closed, you are able to escape from the hustle and bustle that is going on around you; and at night, you can actually get some sleep. 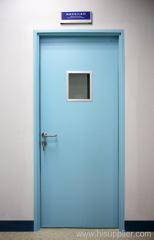 The other critical reason for keeping your door closed, is that unless you WANT to be a fish in a fish bowl, you will protect yourself, not only from the other patients’ stares as they are doing their laps, but from all of the other patients’ visitors as well, not to mention the plethora of hospital employees that continually roam the halls. As you may or may not know, patients are encouraged to get daily exercise by walking around the nurses' station. Here are some of the things that I saw on my daily jaunts: there were several very elderly people, some falling out of chairs, others’ lying in their beds with their heads dangling and their mouths’ open; almost always alone. It was very depressing and sad. Then there were the screamers, the one's that screamed, everytime that you walked by. Yes, I know I screamed when I had my bone marrow biopsy, but my door WAS closed! One of my favorite, or should I say not so favorite views, was the guy that had his bed sitting straight up; he had his shirt off, his covers down and he thought that he was “all that, and then some”, it was disconcerting: he would look you straight in the eye and grin when you walked by. Rather, creepy, if you ask me! Sometimes I would witness a patient with a full room of visitors, other times I witnessed patients hobbling to the bathroom, all alone, with their rear ends sticking out of their hospital gowns. All of these visions are what I would consider invasions of privacy, so unless you wish to become part of the entertainment; I would suggest closing your door. You can even train the hospital staff to close it behind them when they leave; it just takes a few reminders per shift. Second important tip is to be really nice to the hospital staff. Remember, you are at their mercy! And being nice to the entire hospital staff may get you two egg croissants when you ask for them, and an extra clean room. 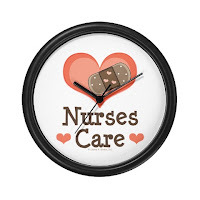 If you are really nice to the nurses, your chances of them answering your call button promptly, are greatly increased! My third tip, which really ranks pretty high up there, would be items of comfort; having your own pillow, slippers, socks, robe and jammies is priceless. You will be much more comfortable in your own clothing and resting your head on your own pillow. Ear plugs and an eye mask are essential; Desert Regional Hospital actually gives them to their patients. Other items of comfort might include Charmin toilet paper, (have you ever used hospital toilet paper before? ), soft Kleenex, Chap Stick and lotion, a hairbrush or comb, snacks that are available for when you are hungry and an electric hot pot that you can either make tea or coffee, or heat up that cold soup from lunch when you are ready to eat it. A notebook and pen are also nice to have so that you can jot down questions when you think of them. A large folder or envelope is also helpful in keeping all of the papers that you will be receiving, organized. A bag that holds all of these things and hangs on the side of your bed is a total bonus! Of course, having a laptop computer or tablet is also helpful, although you may drive yourself crazy researching your illness and treatment plan; but it is nice to have the ability to stay connected to loved ones and to watch a movie, or play a game, late at night when you cannot sleep. Remember that ice is available for eating and ice packs, and when you have a visitor, remember that there are other sick patients in your vicinity; remind your guests to speak softly and NEVER bring Yahtzee as entertainment: the rolling dice are totally loud and annoying! Being sick is no picnic and having a few items of comfort available, and maintaining as much peace, privacy and quiet as possible, will help to make your hospital stay a bit more tolerable. many years ago, i did have the privilege of helping/care taking a friend who had a super rare sarcoma. and folks just dont know what sick is until it slaps you in the face. one way or another! so... as i have been catching up on your blog... i've been doing a lot of copying and pasting into my health file. prefer women drs.) tells me it's CML & says meds only, no chemo. I couldn't believe it! I had no idea it wouldn't involve chemo. She tells me I have enlarged spleen. I didn't even know. This morning I'm laying in bed feeling around, & for the 1st time I feel it. I get a scrip for Gleevec, & I'm all happy about not going thru chemo & then pharmacist tells me it's almost $2K for 1 mos. worth. Freaking out again. Gonna die cause I can't afford meds. Luckily, my wife, who is way smarter than me, & without who I would be lost, calls insurance co. & works it out to where we can afford it. Phew! So this has been a pretty stressed out week. We're getting it through the mail so hopefully it won't be too long before I can get started. Do you have any advice or things to know about taking meds? Do you have days where your thoughts are not consumed about having CML? I am really glad you have this forum. Thanks for letting me vent. I really don't want to drive my wife crazy with all this. She's been so good to me, this type of thing really makes me realize how lucky I am to have her in my life. Good luck & thanks again! Thanks for stopping by!! I was diagnosed 2 years ago, when I was 51; since I was SO good at explaining away my symptoms, my CML was so far advanced that I DID need chemo and leukapheresis; my white cells were 385,000 when I was dx. DO you know what yours were? You should keep track. Also, did the do a bone marrow biopsy? Is your doctor a CML specialist? You will want to have a PCR test done right away and have it repeated every 3 months. All of that info is hear in my blog. Also you will find information on the three major medications used to treat CML. It is my doctors opinion that you receive the quickest response, which improves your long term outcome from Sprycel. Is there a reason that she started you on Gleevec? There is financial help for Sprycel; Bristol Myers Squibb has provided me with my meds for two years at no cost. Anyway, you should find answers to all of your questions hear, if not let me know!